This collection of prank Craigslist ads and the real email exchanges that followed is the perfect gift for fans of offbeat humor. When New York City copywriter Kelly Mahon started posting fake gig ads online as a creative outlet, she was surprised to find that there was someone interested in every bizarre job offer she dreamed up. Race Me in a Lobster Suit collects Mahon’s funniest posts, along with the improvised email exchanges with would-be cocoon knitters and lobster racers. Some correspondents became suspicious, while others seemed willing to play along. The result is good-natured comedy gold and a kind of collaborative entertainment that could only exist in the internet gig economy. Irreverent illustrations by cartoonist Graham Annable (creator of the Harvey Award nominated Grickle comics) ensure that this small book offers outsize laughs. 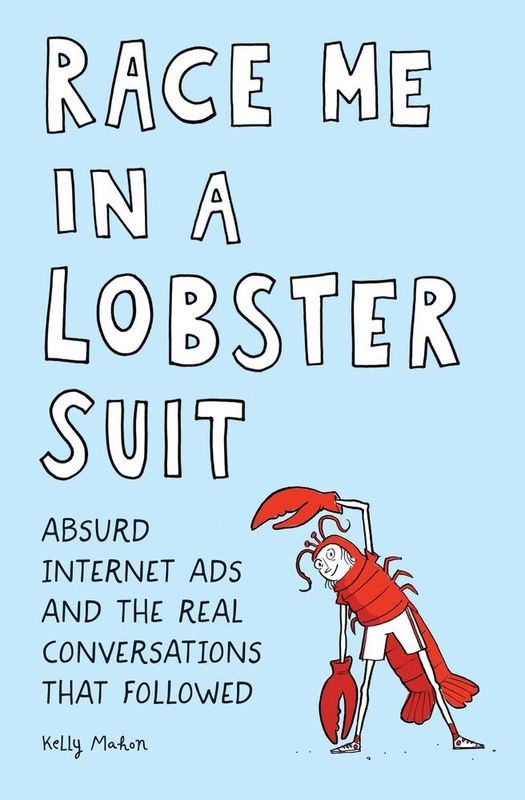 A quick, hilarious read, Race Me in a Lobster Suit is perfect for anyone who needs a bit of absurdity to brighten their day. 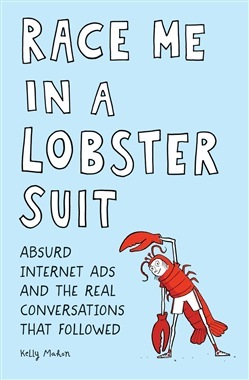 Acquista Race Me in a Lobster Suit in Epub: dopo aver letto l’ebook Race Me in a Lobster Suit di Kelly Mahon ti invitiamo a lasciarci una Recensione qui sotto: sarà utile agli utenti che non abbiano ancora letto questo libro e che vogliano avere delle opinioni altrui. L’opinione su di un libro è molto soggettiva e per questo leggere eventuali recensioni negative non ci dovrà frenare dall’acquisto, anzi dovrà spingerci ad acquistare il libro in fretta per poter dire la nostra ed eventualmente smentire quanto commentato da altri, contribuendo ad arricchire più possibile i commenti e dare sempre più spunti di confronto al pubblico online.